Vedana Lagoon Resort and Spa is located Zone 1, Phu Loc town, Phu Loc district, Hue province. 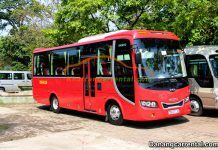 It is located between Hue and Hoi An, about 23km from Hue airport, about 37km from Hue city and 60km from Da Nang airport. Vedana Lagoon Resort and Spa is expresses the subtle connection of the modern art concept and high-end lifestyle. 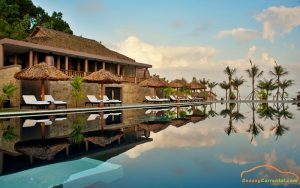 Vedana Lagoon Resort and Spa have 55 luxury rooms/ villas and bungalows with 68 bedrooms. Vedana resort and spa is well placed, offering isolated appeal and stunning views across a vast immense lagoon, one of the largest in south east asia. 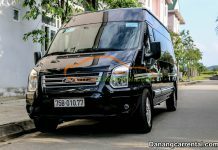 Da Nang Car rental offers Da Nang to Vedana Lagoon Resort and Spa by car rental to help visitors have best transfer service. After long flight, and lose a lot of time to apply for visa on arrival, visitors will feel tired. 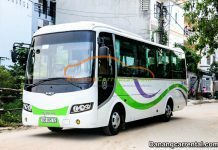 Why don’t you book with us for transfer from Da Nang to Vedana Lagoon Resort and Spa by Da Nang car rental? 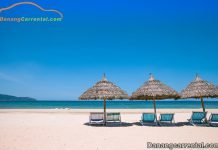 Travel with Da Nang Car rental, visitors will have opportunity to see Lang Co Bay – one of the most beautiful bays in the world from Hai Van pass. 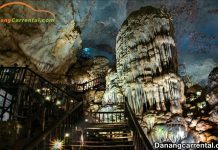 On the top of Hai Van pass, visitors can stop to buy some souvenirs, visit many historical sites such as Hai Van Gate, … After 1-2 hours, visitors will arrival in Vedana Lagoon Resort and Spa. 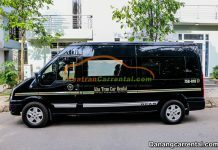 Kha Tran Car rental is committed to bring visitors the most perfect services. 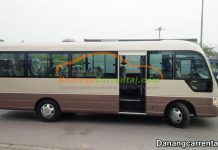 Visitors can view more details and booking on website danangcarrental.com or hotline (+84) 91 651 02 01 – (+84) 34 797 6789.